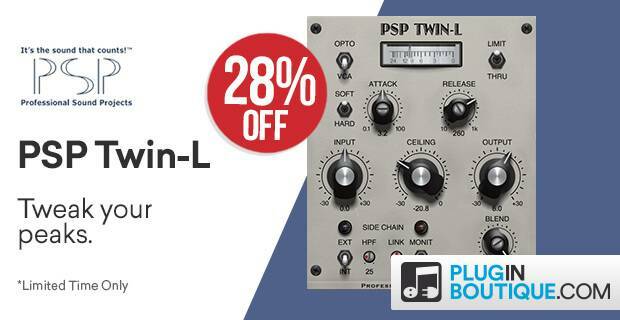 PSP Twin L Introductory Sale sale at Plugin Boutique with 28% off! PSP Twin-L is a dual algorithm classic limiter and is brand new to PSP Audioware’s high-quality audio effect and processor plug-in range. Save 28% for a limited time only!